The Atron series of Decorative Wallplates offers a wide variety of colours, styles, shapes, and finishes to suit any home decor. Long lasting, easy to mount and maintain, and an inexpensive way to add fashion. The perfect plate is available for every taste. 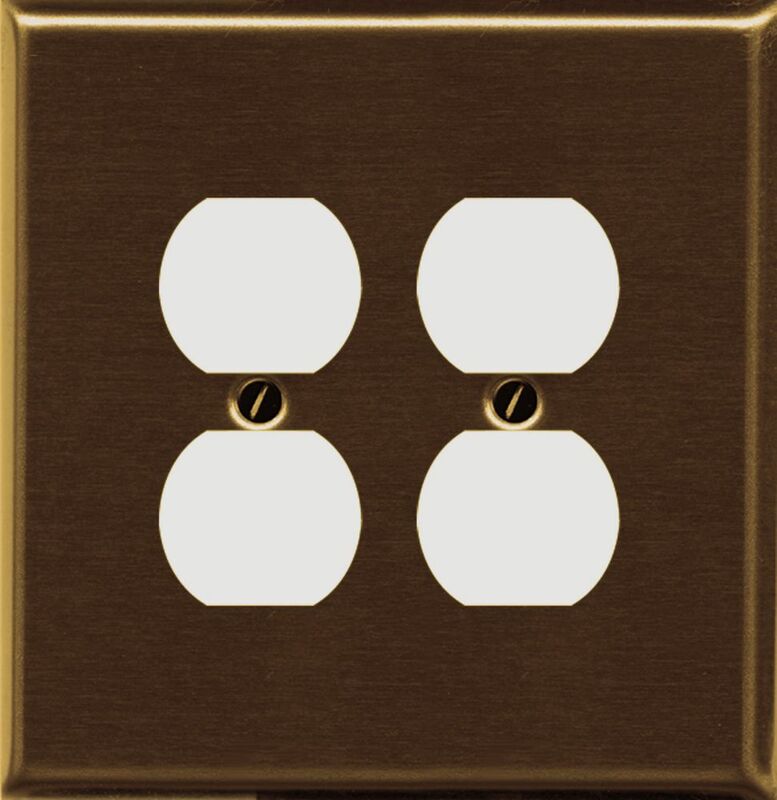 The finish touch to any room with any bronze tones add this Cast Metal "Bamboo Weave" Antique Brass Double Toggle style Switch plate. The Atron series of Decorative Wall Plates offers a wide variety of colours, styles, shapes, and finishes to suit any home decor. Long lasting, easy to mount and maintain, and an inexpensive way to add fashion. The perfect plate is available for every taste. The finish touch to any room with any bronze tones add this Cast Metal "Bamboo Weave" Antique Brass Toggle style Switch Plate.